The REI Flash is a compact ultralight pad that performs well. It’s comfortable at 2" (5 cm), insulated (3.7 R-Value), and easy to inflate—all at 15 oz. The drawbacks are that it’s loud, the welds may fail, and it has a tendency to slide around at night. I found the Flash at a co-op garage sale and picked it up for a measly $10. The tag said that it leaked. Leaked it did! There were several micro perforations. I found the leaks with some soapy water; they were all at where the pad and welds meet. This led me to believe that the leaks were not a result of misuse, rather they were a manufacturing flaw. I went online and read many reviews about the pad and found that there were dozens of reviewers that experienced the same phenomenon at the welds. The welding process may create these leaks so be aware. I was happy to try my luck at the pad for a possible $10 loss. 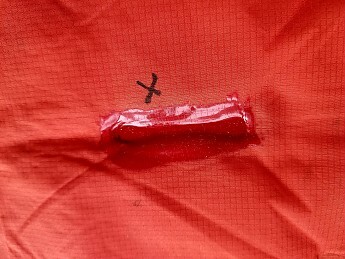 I bought a tube of tent seam seal and put sealer over the micro holes. The adhesion was great. The leaks stopped. Note: this pad is easily repaired. 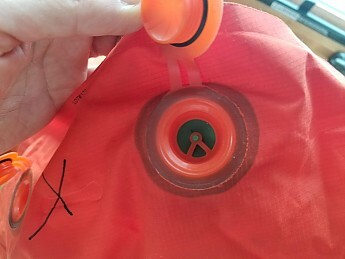 The pad has an inflate and deflate valve. Close the valve and finish the inflation with 1 extra blow into the other valve with the rubber stopper. Either way you choose to inflate it, the process is a smooth and efficient one. The pad deflates in just a few seconds. It’s really easy to roll up post deflation. 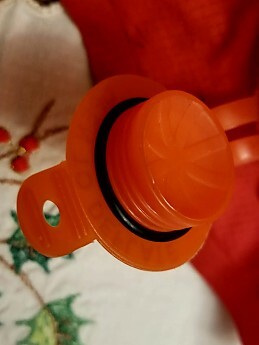 The valves have snap on lids with a small rubber/silicone washer to keep them airtight. The inflation valve with the gasket is made to stop air from escaping so I wasn’t concerned about that one. The deflation valve relies solely on the small washer to block any leakage. I was a bit more dubious about this seal. If you look at where the lid flaps over, there is an obvious gap that exposes the small black washer. It would seem that the gap would compromise the seal and allow air to slowly leak out. At first glance, I was convinced that the pad would slowly deflate because of this. By my third outing with the Flash, I was assured that the seal was good. It doesn’t leak. 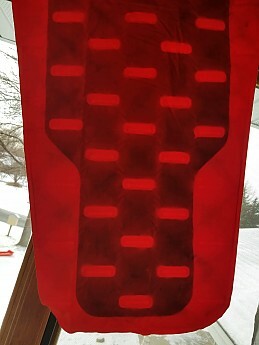 The pad inflates to 2 inches thick. This is a full inch thicker than many 1" traditional lightweight inflatable pads. I like this because it gives you enough thickness to adjust the firmness of the pad and still not touch the ground. I don’t care for my pads fully inflated and too stiff. The R-Value is advertised at 3.7. This may be overstating things a bit. I have found that air core pads with some Primaloft fibers in them are not as warm as foam core inflatable pads of the same R-value rating. 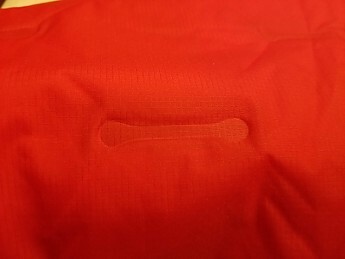 Another thing that likely reduces the true R-value of the Flash is that the welds on the body of pad create areas of no insulation between the inflation pockets. It does do a fine job of keeping me warm enough in temps down into the low to high 40’s. Generally speaking, an R-value of 3.7 should keep the user comfortable with a lower end of 25°-15*F (-4° to -9°C). The pad is a loud pad. It’s made of materials that sound a bit similar to crumpling paper. If you move around on the pad, the audio may bother some that are sensitive to sounds at night. For me, it’s not a big deal. There is nothing to prevent the pad from sliding around. 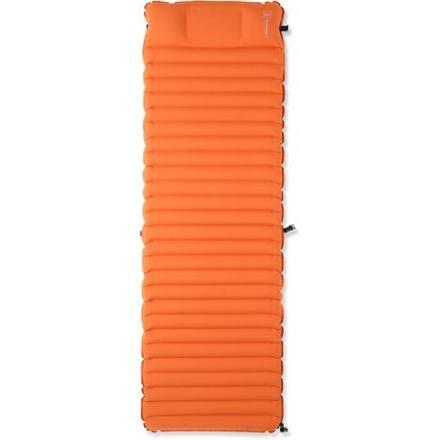 If you want, the pad is compatible with Big Agnes integrated sleeping bags that use the tapered pads. If you use it without an integrated system, it has a tendency to slip around. All one needs to do to remedy this is to use some seam sealer to add a few small dots to the bottom of the pad. The adhesion is superb and it will reduce or eliminate any slipping. Packed, the pad is 10" x 4"
You can see in the pictures that the Primaloft insulation is primarily located at the center of the pad. Conclusion: There may be a manufacturing flaw in this model, so be aware. If the pad leaks in the first few uses, use your saved receipt and return it or replace it. 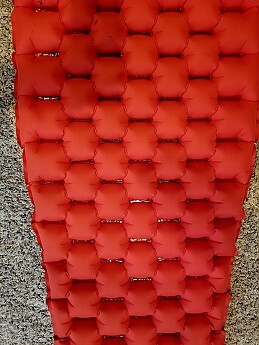 If you can find one for a steeply discounted price, use some seam seal and enjoy a really lightweight and comfortable pad. Beware, it slides and is a bit loud. Overall, for the price I paid, I’m quite pleased with the result. If I was going to pay full-price for a pad, I don’t think I’d want to take the risk of purchasing this pad if I knew that there would be possible headaches right out of the bag. I found the long wide version of this model at the last co-op garage sale. When I pulled it out of the carry bag, I was surprised at the sheer size of it. It was over 7 feet long. It looked gigantic. I remember reading other reviews from upset purchasers about this same phenomenon. At first I thought, geez, what a weird manufacturing mistake. After inflating it, it shrank down to a reasonable long/wide size. 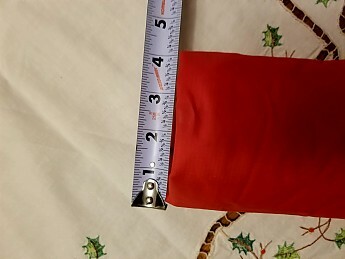 The pre-inflate size is completely appropriate for the post-size result. Just like the last one, after inflation, it slowly leaked. I brought it in the shower, rubbed some shampoo on it and found the leak after dousing it with water. I patched the leak (once again at one of welds by the inflation/deflation valves), inflated it, and left it overnight. It held the air perfectly. 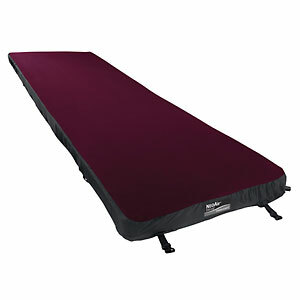 The next day, I brought it on a winter camp out and used the pad in conjunction with a closed cell foam pad. I slept on a frozen lake in a snow cave. I placed a tent footprint down first, then the flash, then the closed cell foam pad on top. In the middle of the night, I woke up shivering. The pad failed and deflated. The only insulation I had beneath me was a 1/2" closed cell pad. It wasn't enough. Back at home, I brought the pad back to the shower and searched for another leak. I found it in another weld next to the inflation valve. I patched the leak and now it holds air again. I noticed that the welds that failed were both slightly misaligned (less than a millimeter) whereas the other welds are perfectly aligned. This may or may not have contributed to the leaks but it's the best I can come up with. A new and nice discovery that I made was that I finally figured out why the pad is quite loud. It has to do with what's inside of the pad. Besides the Primaloft, there is also a thin mylar reflector built into the pad. Mylar is, by nature, a little noisy. 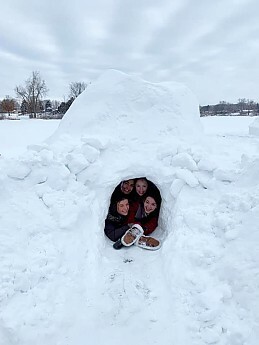 This is what probably contributes to a higher R-Value than other traditional insulated inflatables. I recently took the smaller flash on a trip to Costa Rica. I lent it to one of my students while there. In the morning, the student was on the ground and the pad was deflated. I found the leak (again at a different seam weld). I patched it. 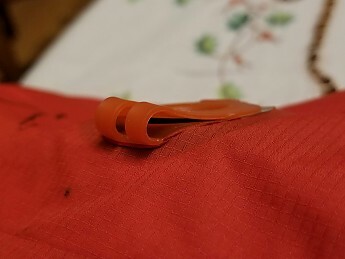 Immediately afterward, another new seam failed, and yet another (four in total). Finally, I bought a tube of Gear Aid tent seam sealer and sealed every weld on both sides of the pad. This finally did the trick. All in all, the pad sprung no less than seven leaks on the welds. I believe they would have kept coming. What was interesting is that after my first repair (patching the first three holes), the pad held up for several campouts and then out of the blue, it just had a complete failure in multiple spots. The second Flash pad that I bought (used from the co-op) had two leaks in it at the welds (one left me on ice). Recently, it sprang another (on a weld). I repaired it and took it on one overnighter CLOSE by my house. It has since had no other leaks. I would be very hesitant to take this pad on a long trip after seeing what happened to the other pad. Just to be safe, I will again, seal all welds with Gear Aid. I've started ordering bulk quantities of seam seal online now! After two different Flashes with multiple weld failures, you can decide how you will approach this pad. 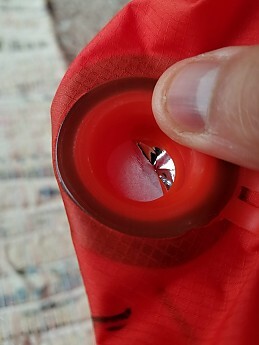 I would recommend buying a one ounce tube of seam seal to have in your pack if you choose to take the Flash on any sort of trip. Between the two pads, I've used them with mixed success for nearly the past year. It is like an ongoing medium stakes experiment. Hopefully my back ending up on the cold hard ground will be of use to someone else. All in the name of SCIENCE! Super helpful info, Jesse. Thanks! Jesse, you scare me with that leak story but I bought one anyway and so far so good. BUT... 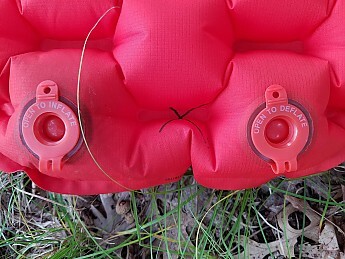 I will carry a small kit of Thermarest glue and patches with me. I very much like this mattresses comfortable quilting with the slightly larger side quilts to keep you "centered" on the mattress. I'm glad to hear that yours is doing well. There were many reviews of happy customers as well. If you have the old red version, the patches may be difficult to apply on the welds because of the creases. I just used plain old seam seal tent sealer with nothing on top and it works great. I think I used Gear Aid brand. Can't wait to see your review of the pad in the future. Good luck with your pad, 300winmag! 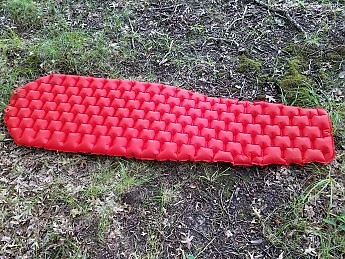 Guys, I'm a winter backcountry ski camper and if this mattress is not warm enough I'll try putting a 1/8" closed cell foam (floor underlayment) pad beneath it. If that falls I'll use my Thermarest Ridgrest mat and then order a 4 season REI FLASH Insulated mattress so I don't have to carry that Ridgerest. That sounds like a lot of seam sealer, Jesse! Good luck with the pad. After 18 months of use over four seasons, I've had NO problems and tons of great sleep. It is replacing my ExPed SynMat 7 (which I love). Packs much smaller and the same comfort (in three seasons). It's AIR, so it CAN pop. Spring through fall, this alone has been all I've needed. Night time comfort is wonderful, even for this old, 55-year-old body. In winter, the insulation isn't enough alone (isn't supposed to be) so I just put a closed foam pad under to keep me insulated from the frozen ground. 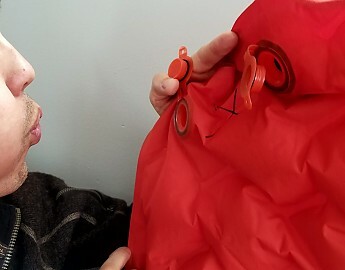 Inflating and deflating is a breeze (seperate one way valves) and, even though I'm a small guy, I have it up in 10 deep breaths. I really loved my last pad, an ExPed. 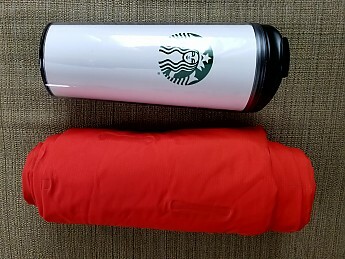 It was my first compact pad (retiring my Therm-a-Rest) and took the ExPed on a week long backpacking trip and found inflation took a bit too long with the hand pump. The Flash is just so much quicker and packs to 1/2 the size. It seems my "horizontal perspective" is a little skewed; I always seem to find a tent site on just a little slant. We've all been there, sleeping on slippery pads and ending up slammed against the tent wall. This has just the right texture to keep me in place. Best part of this air mat, so far, no leaks after quite a bit of use over 18 months. For me, this works just perfect. In fact, I went and bought another as a spare for a "padless backpacking buddy." Thanks for this review. Just saw the Flash for the 1st time today and really liked it. My current Prolite is "OK" but not as warm for late fall high mountain backpack hunts. I "NEED" the Flash mattress. BUT... 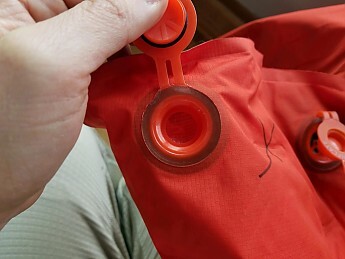 I'd also like a combo waterproof stuff sack/inflator sack. I hope REI makes one for it. I think they will sell a lot of Flash mattresses at that $100. price and 15 oz. weight (size Regular mummy). ->Light 15 oz. air insulated mattress with a 3.7 R value. 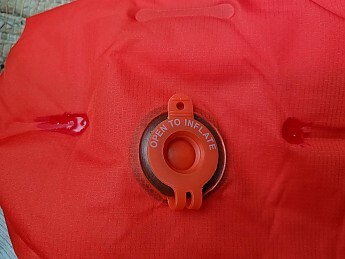 ->Fast to inflate with a Sea to Summit valve-compatible inflator dry bag. ->Comfortable and warm enough for shoulder season (15°F) use. ->Several reported weld failures by owners; newest version said to have fixed this (fingers crossed). There are several companies making insulated air mattresses at present. These are not to be confused with the foam filled self inflating air mattresses we are accustomed to using. These new insulated air mattress typically have synthetic fibers like Primaloft Silver bonded to the underside of the top skin and usually the inside of the bottom skin is coated with reflective material. The synthetic fibers cut down convection heat loss and the reflective coating slows conductive heat loss. I got this mattress because it is 1 oz. lighter than my Therm-a-Rest Prolite reg. but a lot warmer for my spring, fall, early winter camping. Plus, being 3 inches thick, it's more comfortable than my Prolite. I recommend trying this newest category of insulated air mattress. 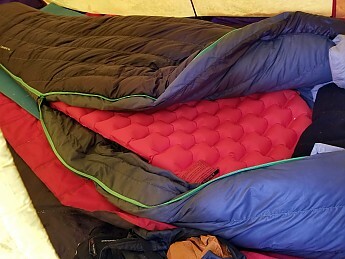 REI has a winter version at 5.2 R value and the Therm-a-Rest XTherm is the warmest of this type at a 5.7 R value, but sleeping on it sounds like sleeping on a bag of potato chips—always crinkly sounding. Also I feel more comfortable on REI's quilted pattern. P.S. The newest version does NOT look like the green mattress pictured here. 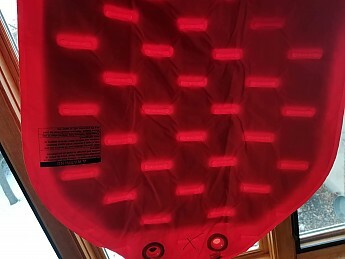 It's red and quilted as you see in the photos of Jesse Maloney's mattress. Lightweight, quick inflate, and very comfortable. 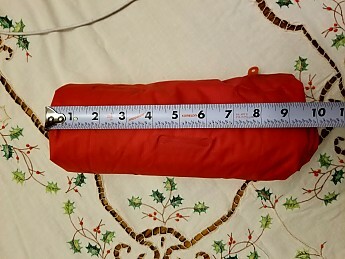 REI Flash sleeping pad (long) is one of the lightest and compact pads I've owned. I primarily hike on the Appalachian Trail in Georgia and North Carolina and this pad has made my nights very comfortable. I would recommend this air pad. Welcome to Trailspace. As an aspiring AT thru-hiker, I envy your proximity to the trail!